Destroy enough of the domestic economy, deny the people access to basic welfare and state services and you get the drug fuelled cartel driven country wide chaos that is engulfing Mexico. People in Mexico are dying in violent drug related deaths every day but the Mexican media is not covering these stories. The coverage is not there because they tend to start loosing reporters when they focus too much on the drug cartels dangerous activities. 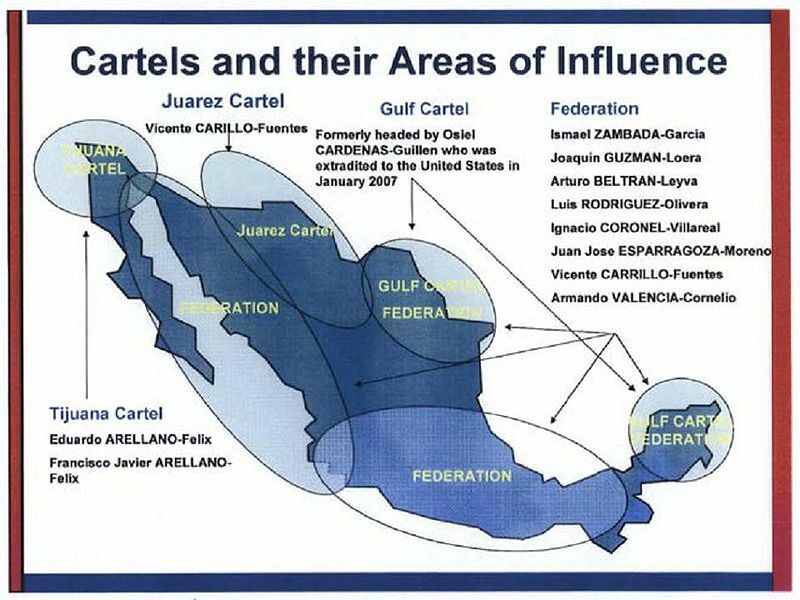 The War on Cartels smacks of the same bankrupts ideas that the War on Drugs featured. Going after supply rather than demand for narcotics is a recipe for disaster. The disaster is largely unreported except for in blogs that have sprung up to fill some of the gaps in the Mexican mainstream media’s coverage. “The images are gruesome and unedited: a dead man in a sports jersey with his face covered in dried red blood and grey sand; a woman hanging from a rope above a busy urban over-pass and naked bodies lined up on the ground displaying clear, uncensored, signs of torture. Anonymous blogging seems to be the only way that the chaos in Mexico is being covered. Ah, the wonders of corporate media concentration. None of the news, none of the time. “Mexico has become one of the world’s most dangerous countries for journalists: Between 2005 and 2010 at least 66 reporters were killed, with 12 more disappeared, according to a report by the National Human Rights Commission (NHRC). There have only been convictions in 10 per cent of the cases. With large scale media rendered ineffective the small scale citizen level journalism is doing what it can to pick up the slack and report the horror that is going on Mexico. Mexico provides a grim case study of what can happen when the state has been rendered deficient almost to the point or being irrelevant in carrying out the basic functions necessary for its citizenry.